This app has gotten some bad reviews -- it would seem an earlier version was much better! These are incredibly easy apps to create, that's why everyone's got one! This one seems to be a little more polished than the ones coming out of Russia and the middle East. Typograph helps you create images with style with Gaussian blur, filters, typography and graphics. Chose from over 20 awesome fonts, 9 filters and 11 'stickers'! Share your images instantly to Facebook! Add reflections to your photos -- quickly and easily add amazing customizable reflections to your photos. There are tons of editing options that allow you to create the perfect reflection. 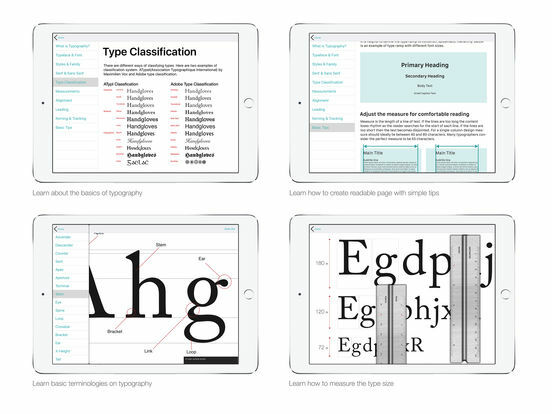 Typography Insight is an iPad application which introduces new ways of learning and teaching typefaces. It leverages iPad's touch interface and high resolution display to visualize and to manipulate typeface. With Type Insight, you can easily experiment and inspect the detail shapes of historical typefaces. More than a dozen "modes" lets this app drive your iPhone camera for specialized picture taking. 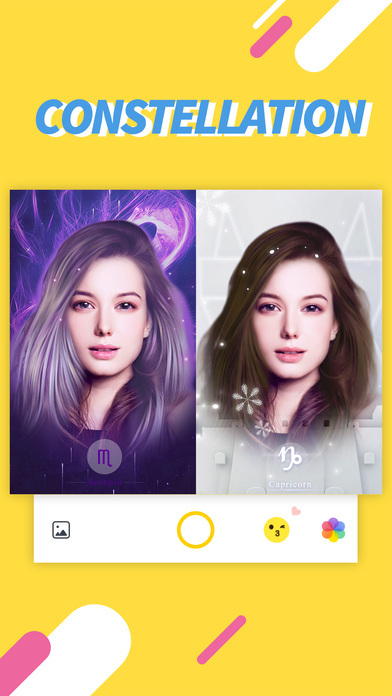 Favorites will be : PHOTO EDITING: overlay, crop, rotate, adjust, texture, and blur tools ; COLLAGE : collages with multiple templates ; LOW LIGHT MODE: low light image enhancement with very low noise level ; AUDIO MODE: Capture with both image and sound.